Everyone can’t help but fall in love with celebrated actor and certified heartthrob, Tom Rodriguez. With his tantalizing brown eyes, he sure can captivate anyone. But for Tom, his eyes are not only assets for good looks. Unknown to many, the top actor is also a prolific digital artist. 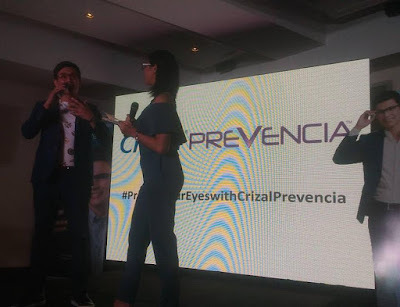 As such, Tom gives due importance to eye protection as he teams up with Essilor, the world leader in corrective ophthalmic lenses to take care of their eyes against harmful blue light with Crizal® Prevencia™.